A must see attraction for pilgrims, believers, and history seekers alike. Holy Land’s ultimate experience that follows Jesus’s footsteps is for all to explore. This sail provides a spiritual experience you will never forget. 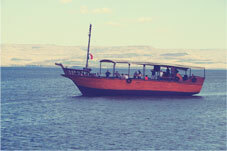 You will feel the power of the Sea of Galilee where Jesus miraculously walked on water. 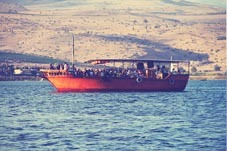 Holyland Sailing welcomes you on board to meditate, pray, explore and relive the life of Jesus Christ where he used to preach the gospel of the kingdom. At the end of the voyage, each pilgrim will receive a participation certificate in recognition of his following of Jesus footsteps in this memorable sail. Leisure boat trips for everyone to enjoy. 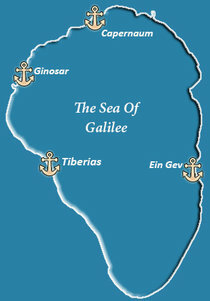 Educational trips to learn about the geography of the region and its place in history.